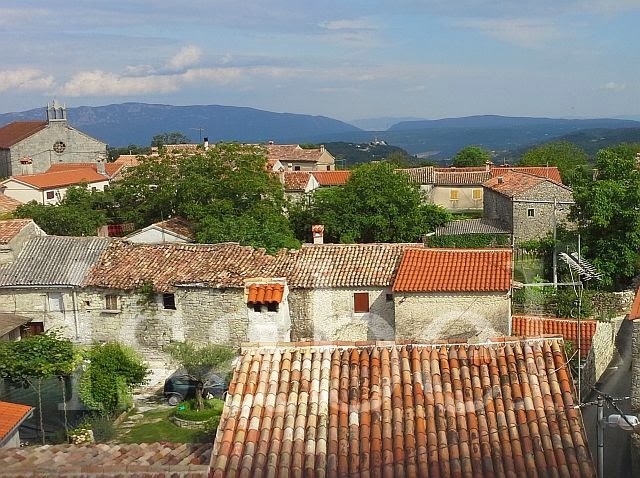 Well I guess it’s time to mention the story of our house in Gračišće and the on-going renovation work, which is the reason why we’re here in Istria. It was during one of our frequent visits to Istria to visit my grandparents and other family that we considered buying a property in Gračišće. About eights years ago, this crumbling and almost deserted village was just starting to experience the beginnings of a rebirth. With each visit, we saw the gradual changes as the old stone houses were being rebuilt and renovated and the village seemed to slowly come back to life. 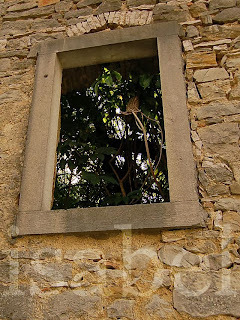 This is a trend happening across many of Istria’s villages but at a slow and measured pace. In most cases, these old houses are bought and completely renovated and then resold at significant mark-ups, or rented out during the tourist season. 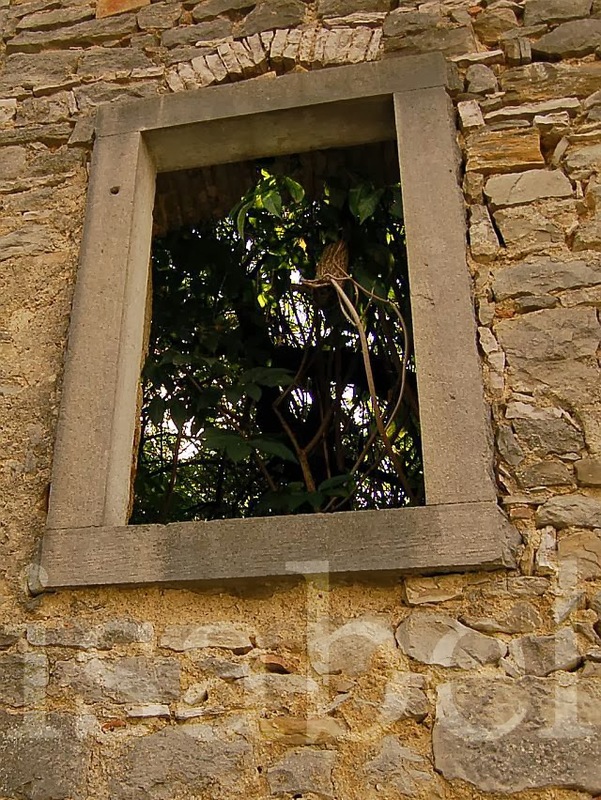 Inspired by the magnificent makeover of Grožnjan, another delightful Istrian hilltop village which was practically a ghost town for decades, we decided we wanted to contribute to the regeneration of Gračišće by restoring one of its old stone houses. At the same time, the decision to buy a house here was also made for sentimental reasons because of the strong family connection I have here. I can also add that we love Istria’s scenic beauty and simply enjoy spending time here so these were all good reasons to buy a house here. Buying a house in Istria was not a simple process! It took a lot of time, perseverance and patience. The first step was to find a house available for sale. Walk around any village in Istria and you’ll see many abandoned houses in various stages of decay so you would think that there’s a lot available. However, the reason why many houses are in a derelict state is because they were abandoned when people emigrated to North and South America, Australia, and other countries in Europe. Many people left, never to come back. Properties automatically got handed down from one generation to the next. Families tended to be big, and as a result a house can have multiple owners on its property title who are often resident in several different countries and even continents. In some cases property registers were not updated properly and as Istria was bartered between countries – from the Austro-Hungarian Empire to Italy to Yugoslavia to Croatia – and administrative systems changed as a result – well, you can imagine the mess. When we first heard a house was for sale in Gračišće, it was sold before we could even make a bid. Then we heard another old stone house was available which had been abandoned for decades and didn’t even have a roof anymore but it was located on the very edge of the village with a spectacular view. This time we were outbid by a buyer who was willing to pay more than the property’s value (and today the house is still in the same crumbling state). Trying to find out who owns one of the village’s many dilapidated houses is detective work. My uncle helped us by asking around and checking property records. Finally we identified a house owner living in Italy who wanted to sell her family home. Before being able to sell, the first step for her was to ‘clear’ the property title which listed 18 persons as part owners! Apparently when her father had bought the house long ago, the property title was not updated. She had to hire a lawyer to investigate who the other 'part owners' were and whether they were even still alive. This process took three years! When things seemed to be resolved and the title could finally be registered in her name, the municipality claimed part ownership and the matter had to be settled in court. To cut a very long story short, it took four years for us to be able to buy this house. So after many years of waiting for administrative hurdles to be crossed and hoops jumped through, we now have a home in Gračišće. The next test of patience is the renovation work… this post is already long enough so this will be the topic of a future post! Stay informed about updates to my blog by signing up for email updates here. You will receive a confirmation message - don't forget to click on the link to confirm your subscription! Looking forward to reading all about the renovation and seeing pics, Isa. Ohhhh you are renovating. How cool. Yes, post that entry very soon. I can't wait to see what you'll do with an old stone home. You had so very long to dream about what you would like to do, I can only imagine how excited you were to get started. Susmi & S-J, the renovation work is going slow and steady, stay tuned and watch this window! looking forward to reading more renovation adventures in Croatia! I just subscribed to your blog. I loved your entries and your photos. Keep up the good work! Hi Georgia, thanks for stopping by my window and your kind words. I hope you have the chance to explore more of Istria on your next trip and that you make it back to Croatia and make it your home again. Yes, this has been my home for the past five years.